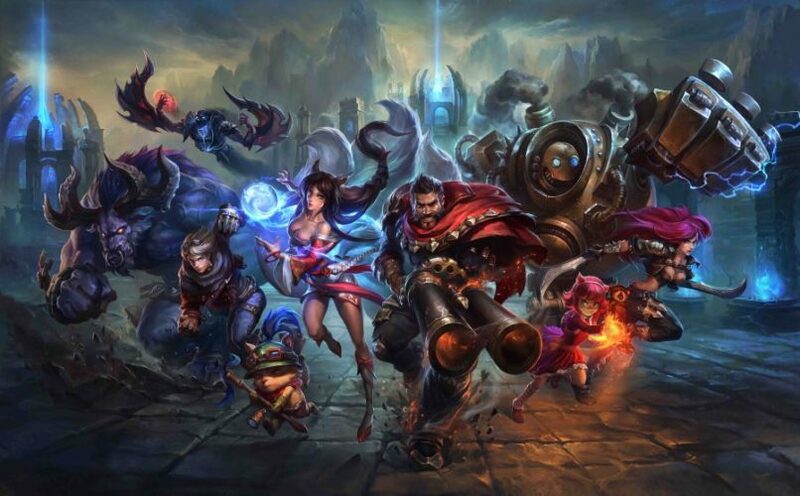 League of Legends is truly a unique game and even though there are tons of games like LoL for Android and iOS and any imaginable gaming platform, none manages to be exactly as good. But there are some amazing options that we have if we need a bit of diversity and fortunately, the growing mobile market is starting to get some pretty amazing MOBAs that will keep you busy for hours enjoying LoL-like gameplay. And in today’s article, we’re going to talk about them: the best games like League of Legends for Android and iOS. The great news is that these games are free to play, they are instantly familiar to veteran (or even newbie) LoL players, while some of them still manage to introduce some new elements or unique twists to the genre to make them stand out. There are hundreds of options out there because everybody wants a piece of the pie, so finding out which are the best of the best is a bit difficult. We did the dirty and difficult work for you, we’ve tested tons of MOBAs on Android and iOS and we’re back with the results. 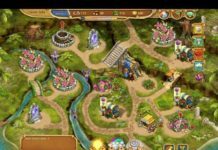 So let’s not waste any time and let’s check out our recommended games like LoL for iOS and Android! 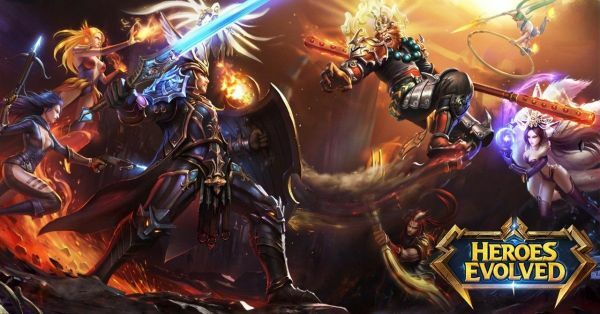 Developed by former Blizzard people, the game inherits the all elements that make for an amazing MOBA game. When this was launched, the visuals were considered groundbreaking – especially for the mobile platform. And even though this has become the norm lately to have graphics close to console-quality on mobile, it still looks really good and plays extremely well. There are currently 38 heroes to choose from, allowing for multiple and varied gameplay styles to be put to the test. 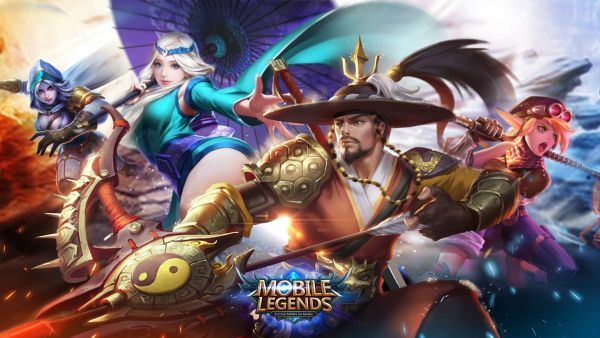 The community behind this game is great, the popularity is high and you will have a ton of fun playing this amazing Mobile MOBA, clearly one of the best games like League of Legends for mobile! You can find out more about this game – including the App Store and Google Play download links – on its official page. Also released a really long time ago, this Gameloft title was initially considered a blatant LoL clone. 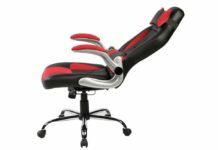 But it has grown over the years and proved to have its own personality, turning into a really good alternative for League of Legends fans. 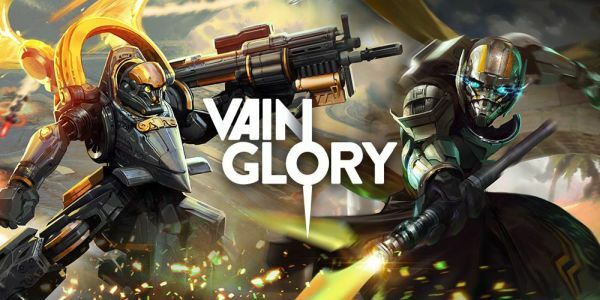 This is pure MOBA, in the end and even though most players are already veterans in this game and starting from scratch will prove a bit challenging, it remains a fun challenge and one you’ll definitely love taking. So give it a try for sure! This game is our favorite on the list. 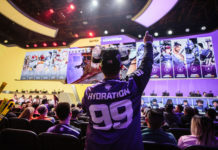 Apart from the in-game commentary of some of the players (which you actually get in most games nowadays), there’s not really anything that we can complain about when it comes to its quality and entertainment factor. It’s very friendly to free to play people as well since there are solid rewards offered daily, making it relatively easy to unlock new heroes and buy new items. 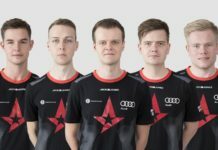 It is also very balanced and requires true teamwork – other games can be won by a single buffed player and that basically breaks it. But in Heroes Evolved, balance is key and that never happens, so you really have to be skilled and a team player in order to help your squad win. Highly recommended! This game has been just recently launched for Western markets and it was (might still be) one of the most popular game in terms of downloads, as well as the most profitable app in the world. This means that there are a ton of players in the game and a ton of stuff to do there. So you will definitely never get bored! 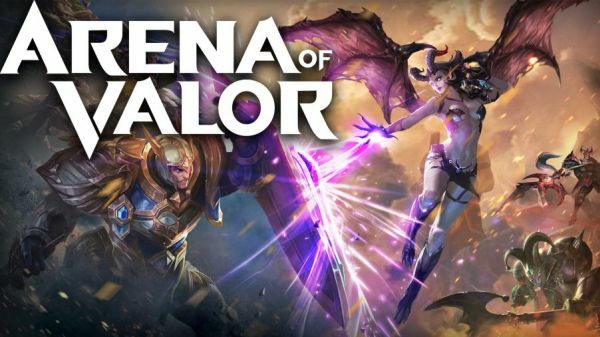 This game is, just like the original MOBA we’re comparing it with, insanely addictive and fun and I am sure it will soon become a real eSport game on mobile. So hone up those skills, you might have to put them to really good use some day! A bit more different than all the other games listed here, this one’s clearly a Star Wars-themed battle arena title. And even though it is better enjoyed – for the obvious reasons – by fans of the Star Wars franchise, we’re sure that everybody would love to play as one of the two factions in the game and try to take out the other. There have always been balancing issues in the game, making one faction better than the other (usually the “bad guys” aka the Empire), but despite this, you can still choose your own character and wreak havoc among other players. 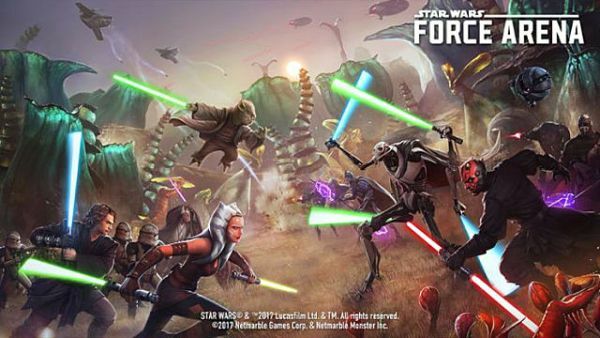 It goes away a bit from the traditional MOBA design, but it works great on mobile so if you’ve been staying away from it, because you didn’t think it was good, you should reconsider and give it a try, no matter if you watched or are a fan of the Star Wars franchise or not. 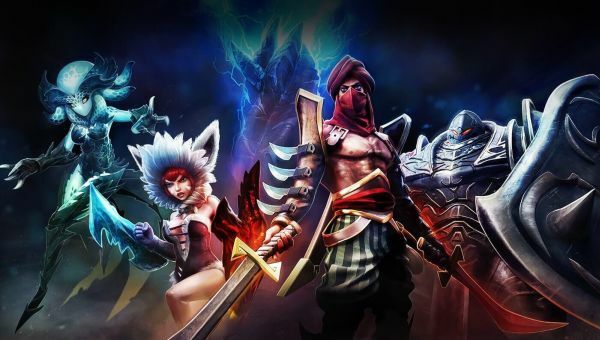 Although the name sounds like a cheap clone made in mom’s basement, you’ll be surprised at the depth and quality offered by this extremely popular MOBA game for mobile. It offers tons of heroes to choose from (and great choices too, even though everybody seems to be playing Alucard these days) and amazing battles on mobile. 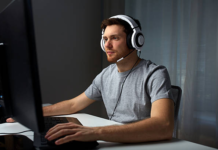 It has also been constantly updated and improved and the developers do listen to the feedback from players, resulting in a well optimized game for mobile and a very balanced one as well. The community behind this game is amazing and even though this game is more popular in the Asian market, it’s worth trying anywhere in the world. Don’t let the name fool you and give it a try! It’s good! And these would be our recommended games like League of Legends for Android and iOS. 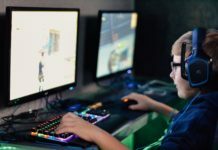 There are tons of options for those who like playing MOBAs, but these are the ones that truly stand out in our opinion. But what do you think? What other games would you add to our list? Or which one of these is your favorite, in case you have tried them?